And it’s coming to L.A. 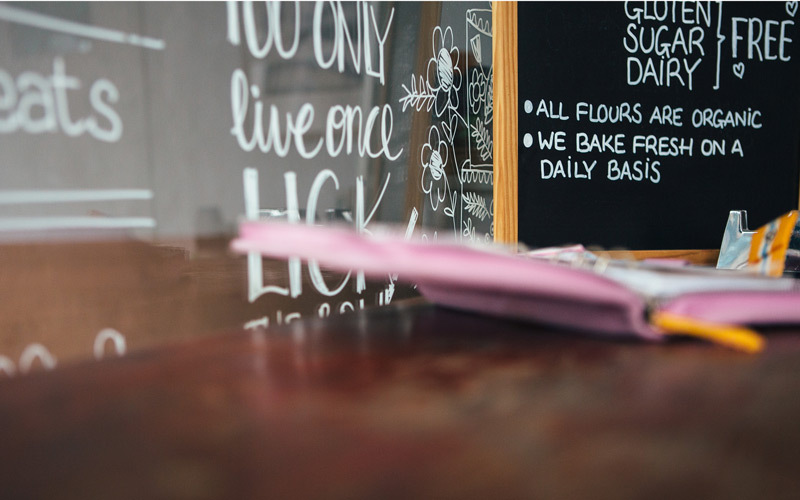 If you have ever eaten with someone who has a dietary restriction–or if that person is you–then you know how difficult it is to find a place to eat that won’t trigger a food allergy or sensitivity or guilty conscience. One app is trying to change that. The Edible app was created by Ish Baid and Michael Copley, two students from University of Michigan, with a mission to empower people with food information. 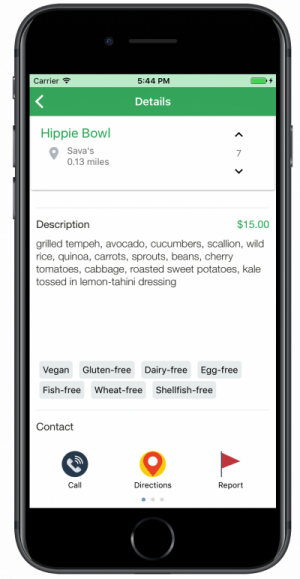 Edible works by showing you menu items filtered by food allergy (milk, eggs, fish, shellfish, tree nuts, peanuts, soy, and wheat) or diet preference (vegan, vegetarian, or gluten-free). You can see a description and photo of each dish, health info, price, and location. And you can vote on your favorite dishes and read or write reviews. Originally launched in Ann Arbor last winter, the Edible Project has made its way to the West Coast. Private beta testing will begin soon with an expected launch in mid-July. “We needed to be in a large city that has a really rich culture and food scene. All the numbers pointed to L.A.,” said Baid. As undergrads at Michigan, Baid and Copley found out firsthand how difficult it is to dine out with a food allergy. Baid, who has no dietary restrictions, became a casualty of Copley’s food allergy. “Mike [Copley] has a dairy allergy,” said Baid. “It would take him a long time to find something to eat, which meant it would take our entire table a long time to get our food,” said Baid. They wanted to make it easier for people with any food allergies or diet preferences to find a place to eat and to make it easier for their unrestricted friends to eat with them. Edible’s database already includes over 250 restaurants and more than 5,000 food items – and their numbers are steadily increasing. Each day they add 10-15 restaurants and around 2,400 items every week. And later this summer, they’ll be adding three more diet filters: paleo, halal, and kosher. Follow the app’s Instagram and Facebook pages for updates.